Obituary for Ronald Secor | Thomas J. Shea Funeral Home, Inc.
Ronald A Secor of Binghamton passed away on March 31, 2019 at the age of 74. He is predeceased by Parents Robert & Laura, brother David, grandson Ashton. He is survived by Wife of 50yrs Christina, daughter Kimberly, sons Marc (Jackie), Robert (Jolee), grandchildren that were the love of his life, Zachary, Adia, Jude, Zane. sister Lynn Pot and several nieces and nephews and cousins. Ronald proudly served in the United States Navy. He was an amateur Radio Operator KA2FJL and N2JPW. He loved spending time with his grandchildren anytime he could, whether that meant being a model train enthusiast with his grandson Zachary or Champion of Checkers and Yatzee with Zane and Adia. 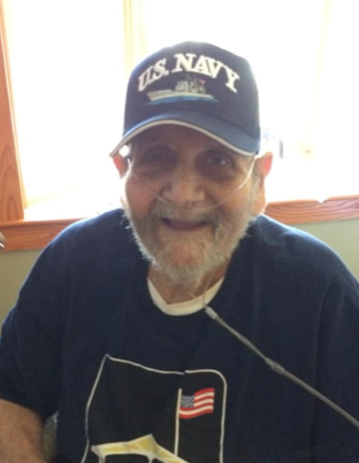 Ron was the President of dietary council and a member of the Bingo and Friday lunch club at the Oxford Veterans Home. We would like to thank the staff at NYS Veterans Home at Oxford for the wonderful care Ron received for the last 2 years. At his request, Funeral Service will be private.